Can you guess which one of these girls smokes weed every day? You may or may not heard of Broad City yet, but it’s making waves. The current series which was developed from a web series of the same name is now in its third season and has been renewed through season five. Broad City follows Ilana and Abbi, two Jewish women in their twenties, who experience misadventures of carelessness and frivolity in New York City. 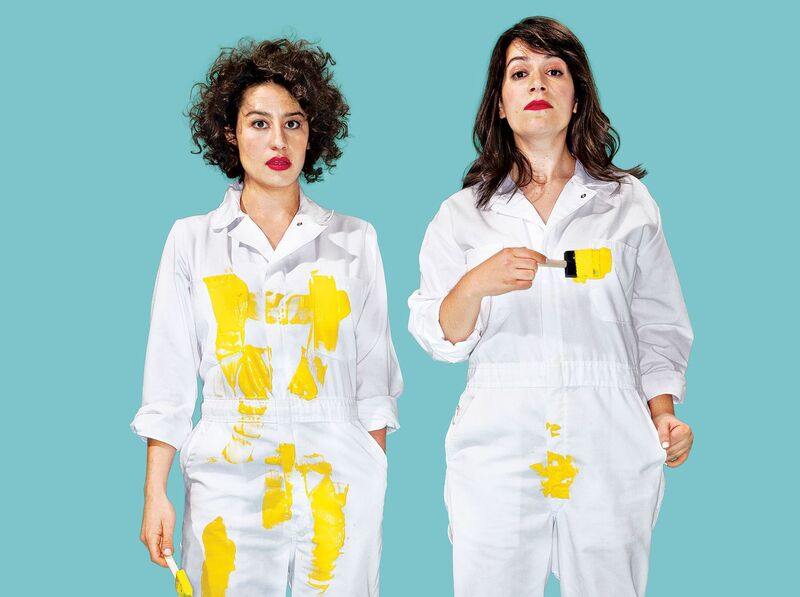 Ilana seeks to avoid working as much as possible while pursuing her relentless hedonism, and Abbi tries to make a career as an illustrator, often getting sidetracked into Ilana’s schemes. Both ladies were in Texas for the SXSW Interactive Festival, which showcases five days of compelling panel sessions led by the brightest minds in emerging technologies, film and music. Here’s what we found out from the two ladies while they were on the panel. They are Google savvy…or perhaps not? We found out the two ladies use Google Docs to jointly work on the creation of the show. Jacobson is quoted as saying, “It was our main thing when we were making a Web series. It was a place where we could both put down ideas from wherever we were to sort of keep track of everything.” Who knew they were this savvy? Turns out they may have mastered google docs, but the cloud remains a mystery when she followed that up by saying that last time she checked, the master doc was gone from the cloud. All that work disappeared. As much as that could be a disaster, we are all sure that their creativity will replace the last material. The best friends and co-stars try their very best to watch the show together when it airs. How cute is that? But sometimes life gets in the way. Maybe a date runs late…but the good news is if they aren’t able to get together for the show, they facetime each other while watching it. It was also brought up that they use Amazon for their household items. This is due to the fact they make jokes about Bed Bath and Beyond on the show and weren’t sure who they would be recieved at the store. Apparently Bed, Bath and Beyond loves the show, so you can strike that fear off the list. Glazer was not shy in admitting her marijuana habits. She admits she smokes or vapes every single day. Seems this “drug” isn’t ruining her success or any of the other celebs that smoke or vape it. She is just another in a long line of celebrities being totally open and pushing the government yet again to eventually decriminalize and legalize pot nation wide. Glazer reveals that her character Ilana joins Hillary’s campaign. Interestingly when a Bernie Sanders supporter in the audience questioned why the women went with Clinton. Glazer tried to answer by saying the show isn’t about which political stance they have, it’s just that it’s something Ilana’s character would do. Needless to say, no matter how she answered the question, it kinda looks like they support Hillary, even if they vote otherwise. Definitely give the show a watch and have a laugh either way.